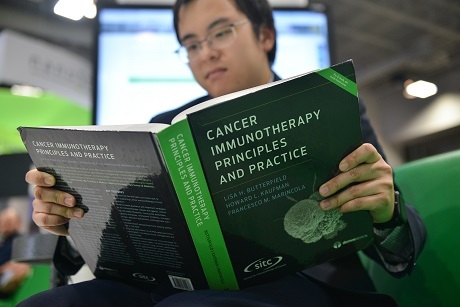 Cancer Immunotherapy Principles and Practice, from the Society for Immunotherapy of Cancer (SITC), is an authoritative textbook to cancer immunobiology and the immunotherapy treatments that harness the immune system to combat malignant disease. This comprehensive reference work covers all major topics that have shaped the development of immunotherapy and propelled it to its current place at the forefront of cancer treatment innovation. With the use of cancer immunotherapies increasing rapidly, the need for a textbook that presents the history of the field, basic science and current clinical applications is timely. Featuring five sections and more than 50 chapters covering basic principles of tumor immunology, cancer immunotherapy targets and classes, immune function in cancer patients, disease specific treatments and outcomes, and regulatory aspects of cancer immunotherapy, this textbook will be a valuable resource for oncologists and fellows, immunologists, cancer researchers, and related practitioners seeking to understand the basic science and clinical application of cancer immunotherapy. Filled with detailed tables and instructive illustrations, as well as key points for quick reference, Cancer Immunotherapy Principles and Practice simplifies a challenging and dynamic subject. Discusses clinical aspects of immunotherapy for individual cancer types, including melanoma and other skin cancers, lung cancers, gynecologic cancers, gastrointestinal cancers, hematologic cancers, genitourinary cancers, head and neck cancers, sarcomas, brain and other CNS cancers, breast cancer and pediatric malignancies. To receive this discount code, please sign in to your SITC member account for the code to appear on this page.